Inversion Therapy is a procedure in which one is suspended upside down to relieve one from problems like back pain and help decompress the spine. 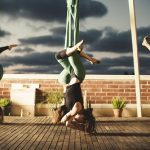 Inversion Therapy is a popular alternative to yoga, as it can be done quickly and provides temporary relief in a short time. Inversion Tables are built for this particular purpose. They use gravity as an advantage; wherein the muscles get stretched because the body is pivoted at a point, acting as a counter to the force of gravity. 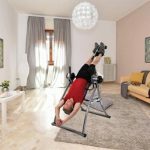 If used cautiously, Inversion Tables can prove to be quite beneficial. Blood in the body is used to flowing in one direction only. An Inversion Table reverses this process. According to top researchers, stretching the body by this method can improve blood circulation and remove blocks in the lymphatic system. This not only increases blood flow but also removes waste. The spinal bones are cushioned by cartilages called discs. The discs have three primary functions: to act as shock absorbers, hold the spine together and allow mobility of spinal joints. Due to bad posture, sitting for long hours or lack of exercise, these discs can deteriorate over time. The damage is hard to heal but a study has shown that discs can be maintained if proper nutrition is available. Using Inversion Tables stretches the spine and increases blood flow, thereby helping the discs get their nutrition and decrease the damage. The upside down hanging increases the space between vertebrae, allowing movement of joints and reducing the risk of permanent spine damage. Inversion also reduces muscle convolutions and tension. 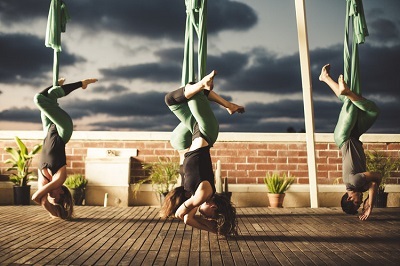 Hanging upside down increases blood flow to the body. Due to this, there is also an increase in hormone generation which can help reduce mental stress (hormonal glands like the pituitary and hypothalamus receive more blood and increase production of hormones that reduce overall stress). It increases oxygen supply to the brain and keeps one mentally alert. It can, up to a certain extent, also help manage depression. A study has found that Inversion can help one get better sleep too. ​Inversion Tables are extremely useful in Inversion Therapy because assistance they provide. 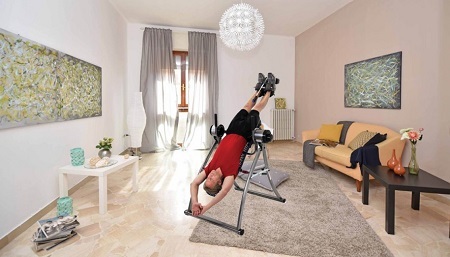 Some Inversion Table models allow torso rotations and ab crunches, which are added benefits. Inversion Tables also have an option for changing the inclination angle according to one’s comfort. However, patients with blood pressure issues, glaucoma etc. should take caution while using these tables. Hanging for a few minutes a day can reduce stress and undo the damage to your body. 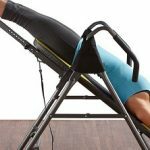 Hence, Inversion Tables have an important role to play in Inversion Therapy and in helping you become fit, feel healthier and happier.